The laptops are aimed at small and medium enterprises. There is the V330 laptop which features a 14-inch Full HD display and comes with a 720p webcam. Chinese technology major Lenovo on Thursday launched a new V-series laptop "V330" for small and medium enterprises (SMEs) and start-ups with prices starting from Rs 48,000. 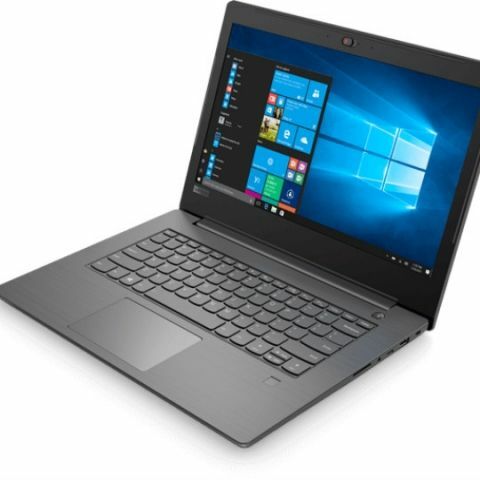 The "V330" laptop comes with entrepreneur-friendly flexibility features like an ultrabay drive that can house either an optical drive or an additional battery, a QuickCharge battery, an elegant spill-resistant backlit keyboard, USB-C type and USB 3.0 ports. "With the launch of the V series, we want to address our focus towards the next wave of business professionals and entrepreneurs who need affordable computing on the go without compromising on performance or security," Ashish Sikka, Director SMB at Lenovo India, said in a statement. The "V330" is bundled with ThinkShutter, which is a physical webcam cover, along with a touch-type fingerprint reader. The laptop comes with Intel technology, which is optimised for security, flexibility and reliability. It features a 14-inch Full-HD anti-glare display with 1920 x 1080 resolution and a 720p webcam with camera shutter. Last month, the company refreshed its "Think" line-up with a new range of "ThinkPad X1" laptops in India. The latest "Think" portfolio with advanced PC performance, that includes a new "T", "X" and "L" series, comes with 8th-Gen Intel Core processors.